When Will iTunes Error 306 Occur? 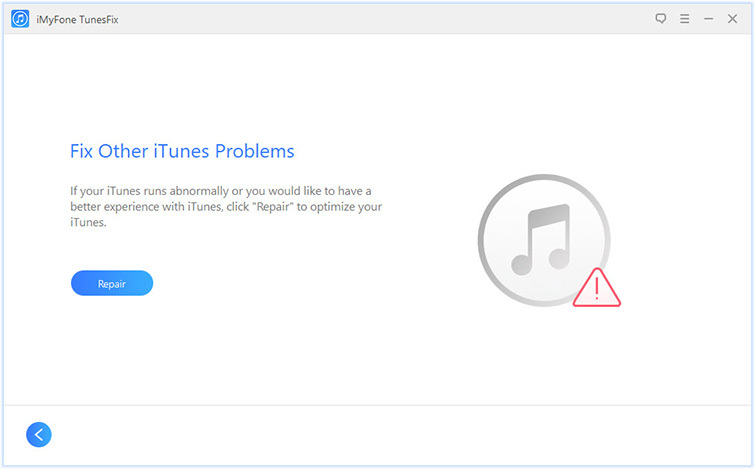 iTunes error 306 occurs when you are trying to visit iTunes Store. 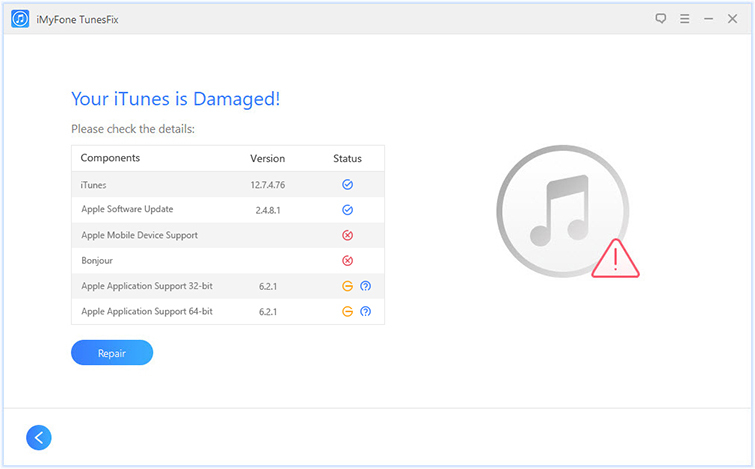 The error usually starts occurring after updating iTunes and it can be really annoying because it prevents you from using iTunes Store to browse, purchase, and download apps, music, and other media. The error prompts that iTunes Store Request could not be completed, an unknown error occurred (306). There could be a number of causes behind this error. Some of the most common causes include Internet proxies, a firewall preventing iTunes from connecting to its servers, problem with iTunes parental control settings, etc. One of the easiest ways to fix error 306 as well as other similar iTunes errors and issues is to use a professional iTunes repairing tool. iMyFone TunesFix is a recommended option in this regard. This third-party iTunes repairing tool is feature-rich and capable of repairing various iTunes issues efficiently. 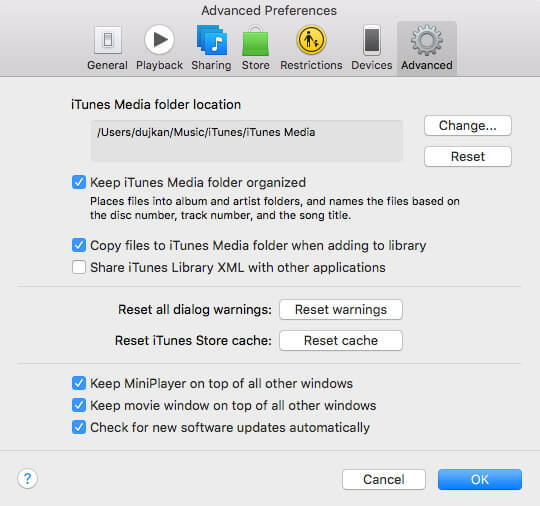 Most of the issues are detected via TunesFix’s automatic iTunes scanning feature. If for some reason TunesFix does not find the issue via automatic scan, then you have an option to use its manual repair modes to quickly scan and fix the common iTunes problems. All in all, iMyFone TunesFix is a powerful iTunes repairing tool that is a must-have for every iOS user. Repair 100+ iTunes issues via convenient one-click solutions. Automatic iTunes scanning at launch. Variety of manual iTunes repair modes. Full Uninstall mode that you can use to uninstall iTunes and its related components completely. Two advanced iTunes cleaning modes to free up disk space as well as boost iTunes’ performance. Step 1: Launch TunesFix on your computer and wait for its automatic scanning to complete. Any issue detected via automatic scanning can be repaired via the Repair button. Step 2: Now from the home interface of TunesFix, find and click on Fix Other iTunes Problems mode. Step 3: Click on the Repair button on the next screen. iMyFone TunesFix will now start the repairing process. It is recommended that you keep your internet stable as TunesFix may connect to its servers and download the repair drive for successful repairs. Step 1: Open your web browser on your computer. Step 2: Visit any website to see if is opening normally. Step 3: If there is a problem, then it is recommended that you restart your router. The problem may also occur due to proxy settings. You should remove any existing proxy connections as well. Step 4: Open Internet Options on your Windows PC. Step 5: Navigate to ‘LAN Settings’ and uncheck the ‘proxy server’ option. If your internet connection is working properly and you don’t have any proxies set as well, then the error 306 may be occurring due to Windows Firewall preventing iTunes from connecting to its servers. That’s why it is recommended that you check Windows Firewall settings. 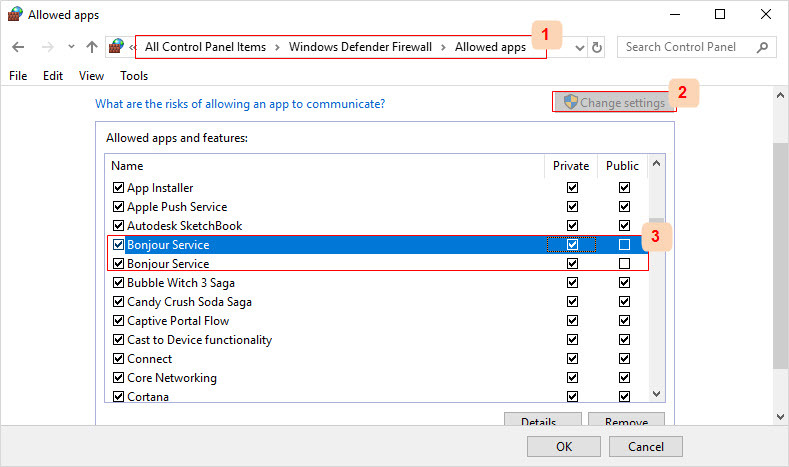 Step 1: Launch Windows Run by pressing Windows key + R.
Step 2: Input firewall.cpl.1 into the run box and press enter. Windows Firewall will open. Step 3: Now make sure that iTunes is selected for both private and public networks. Set Bonjour to use private networks only. iTunes Store automatically saves information regarding the pages that you visit when browsing apps, music, games, etc. It is called the Store cache. If this cache becomes corrupted, then it is likely that iTunes error 306 will occur. Resetting iTunes Store cache will solve the problem. Step 1: Open iTunes and navigate to Edit > Preferences > Advanced. Step 2: Now click the ‘Reset cache’ button and then click OK to continue. The error should be fixed now. Step 1: Launch iTunes and navigate to Edit > Preferences > Parental Controls. Step 2: Now remove restrictions shown in this section. In conclusion, there are a number of ways to fix iTunes error 306. It is recommended that you use iMyFone TunesFix to solve the problem because this will allow you to repair iTunes quickly without any hassles. If the problem still persists, then try the other common solutions one by one until error 306 is fixed.